Today is Columbus day, a day that celebrates Columbus discovering America. Perhaps it is ironic that over the weekend America discovered Europe when it comes to guidance in dealing with our financial crisis. The answer to the crisis is not to have the Treasury purchase vast amounts of worthless securities from troubled banks but rather to invest in non-dilluting bank stock to help weakened banks re-capitalize. Thus far it appears that Paulson is still lost at sea because he is advocating purchasing preferred shares, which if done, need to pay interest, be convertible to common and also non-dilluting. Non-dilluting means that if top execs issue more shares and the govt takes a 25 percent stake, the govt gets 25 percent of all new shares. Absent this the stock market will clearly plunge again due to becoming overcome with exhaustion at the abject incompetence of Treasury Secretary Paulson. Treasury Secretary Paulson has handled this crisis about as well as Michael Brown handled the Katrina hurricane in New Orleans. Paulson began with the audacity of proposing a $700 billion bailout for his wall street pals with the stipulation that none of the $700 billion spent by the Treasury would be subject to any oversight or could be challenged in a court of law. He then supported allowing his former firm Goldman Sachs to convert to a traditional bank with FDIC insured deposits, positioning it to unload worthless securities on the Treasury and then go out and prey on weakened regional banks. Goldman Sachs, a key architect of this debacle, should be allowed to fail, that is simply how the market should work. 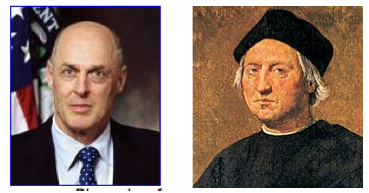 Even worse, Paulson then designated a 35 year old Goldman Sachs associate, Neil Kashkari. a trained mechanical engineer with little real banking experience, to be in charge of the program. Paulson doesn’t seem to even now realize that it was indeed “financial engineering” that got us into this mess. Products should be engineered, not finance. Reading about this person’s engineering experience working with satellites is interesting and perhaps that is where he should be, not at the Treasury. 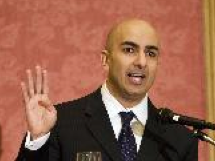 Neel Kashkari, the U.S. Treasury’s interim assistant secretary for financial stability. Simply put, Paulson has attempted to make the Treasury department into the equivalent of a financially engineered speculative hedge fund able to engage in a vast amount of money laundering for his Wall Street associates at hedge and private equity firms. Paulson still refuses to openly advocate that hedge funds and private equity firms register with the SEC and dislcose their top 25 holdings and investors on a quarterly basis. Given that these firms primary source of funding is tax exempt organizations such as college endowments and public pensions, the government via the IRS tax exemption status clearly has the authority to demand such disclosure. Footnote: The day following this post Paul Krugman wrote the following column in the NY Times. Although a fine piece, once again there was no mention of hedge funds registering with the SEC.